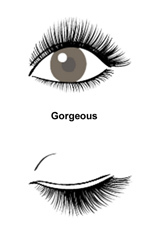 Depending on your natural lashes there are various styles or looks that can be achieved. The distribution of lashes across your eyes (style), the thickness length and curl of your lash extensions will all be discussed before we begin and can be tailored to your face, eye shape, lifestyle, natural lashes and your own expectations. 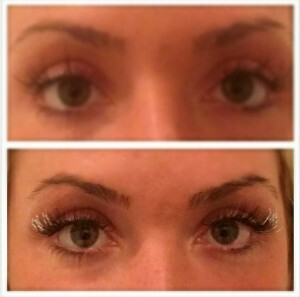 Volume Eyelashes are a new technique of eyelash enhancement. We are one of the first to offer this service in the US. 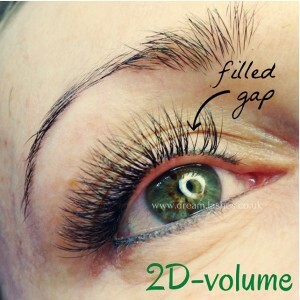 This technique allows us to apply 2-6 thinner eyelash extensions to make a fuller, fluffier, and 3 dimensional look. It is also good for those of us with sparse or damaged lashes. 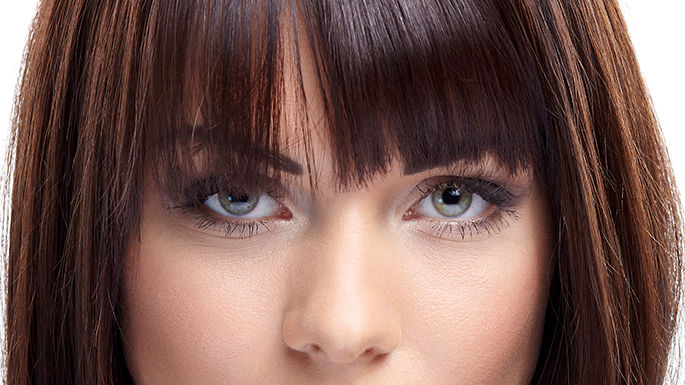 With a classic set of extensions, one extension hair is applied to one natural eyelash. So, if you have 80 hairs per eye, we will give you 80 extended lashes. 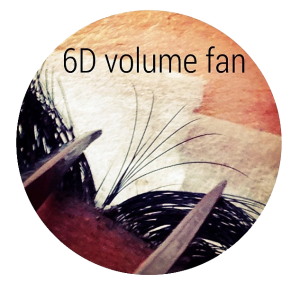 With volume extensions, we can add 2-6 extension hairs per natural eyelash. 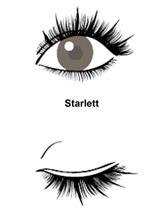 So, if you have 80 natural hairs per eye, we can give you 160-480 extended lashes. From Mink, and Extra Lush lashes to Ombra color lashes, all sets of eyelashes are applied completely to meet your unique requirements. at SKYN Clinic & Apothecary, we provide many different lengths to create the style you need. Lengths range from 5mm to 17mm. Curl types are used to help create your style or change the way your eyes look. Ex. J-Curls are used to hide hooded eyes or to make bold eyes look more subtle. Natural Curl, curls softly towards the tip of the lash. Dramatic Curl, curls firmly towards the tip of the lash. C-Curl and long lashes on the outer corner of the eyes. Creates a sultry and dramatic look. 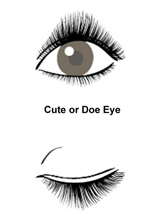 J-Curl or B-Curl lashes on the outer corner of the eyes. 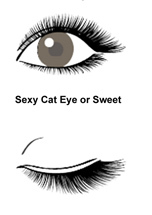 Accents the bottom eyelid to make your eyes look down-turned. Creates an innocent, sweet appearance. For those that like the Cat Eye, but want a less dramatic look. We use the same lash length across the whole eyelid. This thickens the lash line and gives a full, voluptuous appearance. Long lashes on the center of the eyelid. This accents the iris of the eye to make the eye look open and bigger. Considered a more professional, subtle look. A combination of long and short extensions are placed to create a fuller, but stunning look. This design is very versatile. 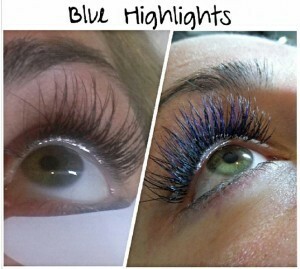 Highlights can be added to a set to enhance your eye color and skin tone, or just to add a pop of color. Crystal extensions can be added just for fun or special occasions. Highlights or Ombre Extensions enhance hair and eye color. At SKYN Clinic & Apothecary, we offer every color of crystal or diamond lashes. Every color from clear (shown on the left), to red is available. If you are interested in getting a specific color, just ask us.